No matter how much time and effort you put into your Facebook contests, you’re simply not getting the results you want. It’s because you are trying to create a generic contest that is supposed to attract all 500 million of Facebook users. The issue is that not all Facebook users are the same as your fans. Your fans came to your page organically after a positive experience, while the people you are trying to reach have yet to even be introduced to your brand. So how do you maximize the reach of your contest? The secret to a successful contest is crafting one that both engages current fans and introduces your brand to potential new customers eager to use your products. What is it that your fans crave? Why are they a ‘fan’ of yours in the first place? Keep your prize consistent with your product. Offer free products, discounts, consultation or a chance to be featured. If you’re a cupcake shop, give away cupcakes, not an iPad. Consider your goals. 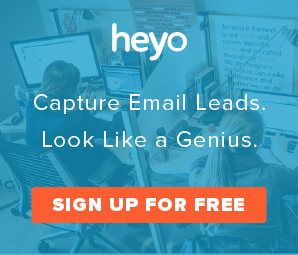 Are you trying to generate leads? Get more likes to build your Facebook presence? Your goals should lead how you structure entry to your contest. With Facebook’s latest changes to promotion guidelines, you can now accept likes or comments on status updates as a form of entry. This removes a lot of friction from accepting entries, but it also means you get a lot less information in return. To ensure you get re-marketing opportunities, the tried-and-true format is to collect entries via an e-mail op-tin within a Facebook app. It’s human psychology to be heavily influenced by others’ experiences. Social proof is the mentality that ‘If other people are doing it, and I can trust those people, that confirms that I need to be doing it, too’. To incorporate this into your Facebook contest, use images of those who have entered your contest. In the screenshot below, notice how the profile pictures of all the users who have entered are highlighted within the tab. The purpose is make you say to yourself subconsciously ‘hey, that could be me!’. Remember to include a disclaimer for your own Terms of Service as well as for Facebook. Facebook’s promotion guidelines say you are responsible for the official rules, eligibility requirements and a complete release of Facebook. Use the template below to in when you run a timeline contest via status update. Disclaimer: This Promotion is in no way sponsored, endorsed, or administered by, or associated with, Facebook. You understand that you are providing your information to *Your Page Name* and its affiliates and not to Facebook. When your contest is live, the hardest part is gaining that initial traction. The first step you should take is to publish a status update with a direct link to the contest from your Fan Page. Once you’ve done that, you can promote your post through Facebook’s ads platform. It’s cheap and super effective for spreading your message quickly. 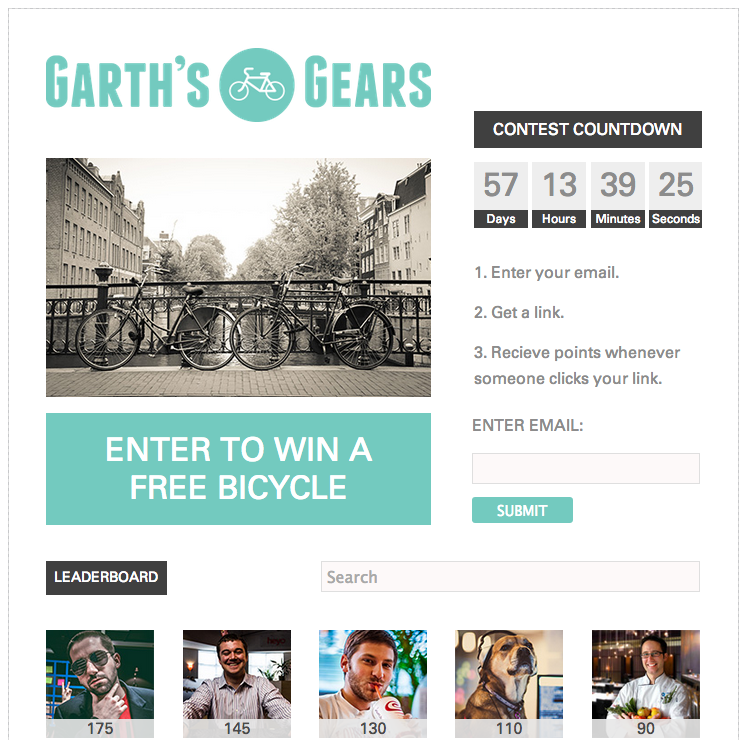 Send an email to your list linking telling them about your Facebook contest. For bonus points, Tweet, Pin, Post, Share, +1, re-pin and so on. Cast your net wide and attract your following all to your Facebook Page. If done in sync, you’ll quickly draw attention to your Facebook Page. Contests can’t run forever, but you can always be running one. By adding a limited time period for entry, users are prompted to act quickly or miss an opportunity. 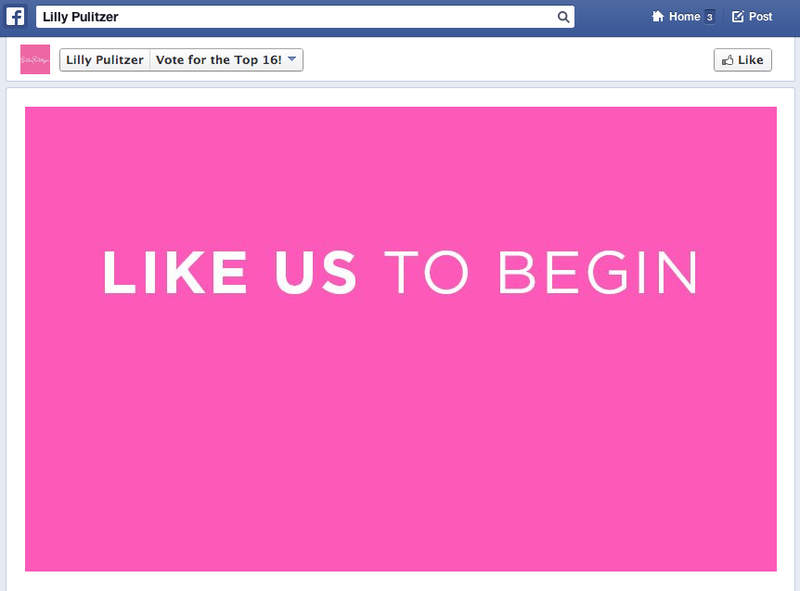 If you use a like-gate on your Facebook contest, you can brand it as for ‘Facebook Fans only’. Not only does this give your fans a warm fuzzy feeling, but you’ll drive users to like your page which gives you the opportunity to market to them again in the future. 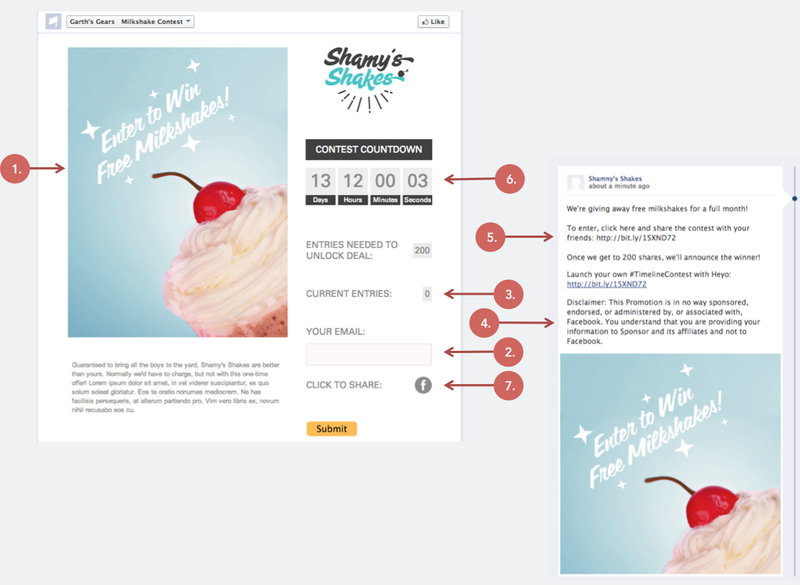 With so many moving pieces, planning, building and promoting your Facebook contest can be a headache. Leverage common growth tactics by using built in virality to keep your contest running like a well-oiled machine. Encourage your fans to Like, Share, and Tweet your contest to their followers before being allowed to enter their email address for a chance to win. Run a ‘group deal’ by requiring a certain amount of entries to unlock the deal, your fans will be incentivized to share the deal with their network. You could also give fans a reason to share your contest. Set one up so that each fan gets a unique URL when they enter to share with their network. The fan with the most clicks on their URL, wins the contest. Wondering how to set up a contest that uses the techniques in step #7? Register for our webinar to learn the planning, promoting and execution for making your Facebook contest a success.